Discount parking for Museum of Arts and Design is available at the following parking locations. Click on a parking locatin to print a NYC parking coupon with discount NYC parking rates (including tax) for any 6, 12 or 24 hour period. A parking coupon is required to receive these special Museum of Arts and Design rates so be sure to bring one to the garage. The Museum of Arts and Design features a collection of contemporary handmade objects made by established and emerging artists using materials such as glass, wood, clay, fiber, and metal. 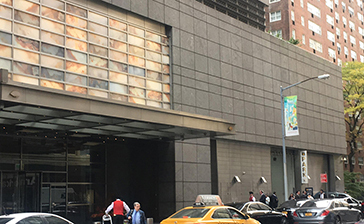 Nearby attractions include: Lincoln Center, The Shops at Columbus Circle, Carnegie Hall, Central Park, the Museum of Natural History and The Rose Center for Earth and Space. 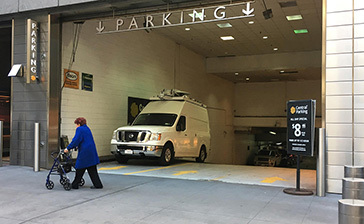 Parking.com has convenient parking throughout the NYC metro area! Click to find more Columbus Circle Parking, Upper West Side Parking, Midtown Parking or NYC Parking.